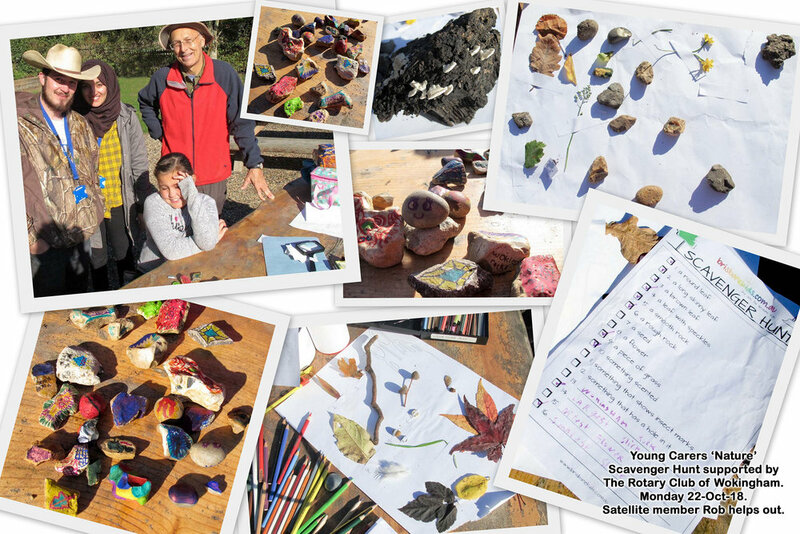 Seen here are the results of a scavenger hunt when a group of six nature-loving children got involved with Nature at the Berkshire Young Carer ‘Nature’ activity. The children enjoyed themselves with hunt, creating montages and painting rock. The event was run by the Berkshire Young Carers Hub and supported by The Rotary Club of Wokingham. Local care workers Phillip and Naffessa were supported by Rob Hughes, a Satellite members from Wokingham Rotary Club. The event took place during the Half-Term break on Monday 22nd October 2018.